This month we read 20,000 Leagues under the Sea for our homeschool book club. 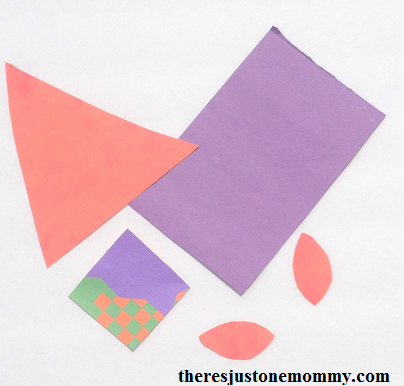 Book club often inspires us to try a new kids craft, and this one was no exception. The squid attack on the Nautilus was one of our favorite parts, and it inspired this simple squid craft. 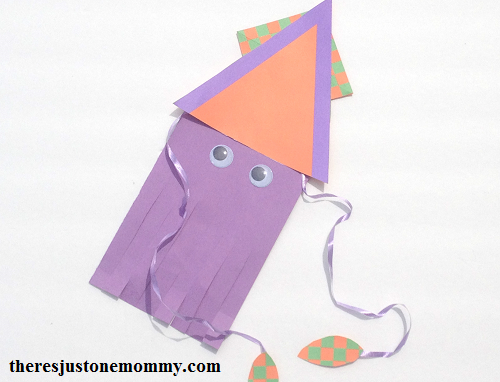 This simple squid craft is perfect after reading a sea animal book. It also makes a fun summer craft. For older children you can show them how to use the ruler to measure and draw the parts themselves. Once you have your pieces cut out, glue the square to the back of the triangle to form the squid’s fins. Then glue the triangle to the top of the rectangle to form the mantle. Using clear tape, secure 2 pieces of ribbon (ours our 10 inches long) to the back of the squid’s mantle. These will form the feeding tentacles. Use another small piece of tape to attach the pointy oval pieces to the ribbon. Cut 8 tentacles at the bottom of the squid’s body, going approximately half way up the rectangle. 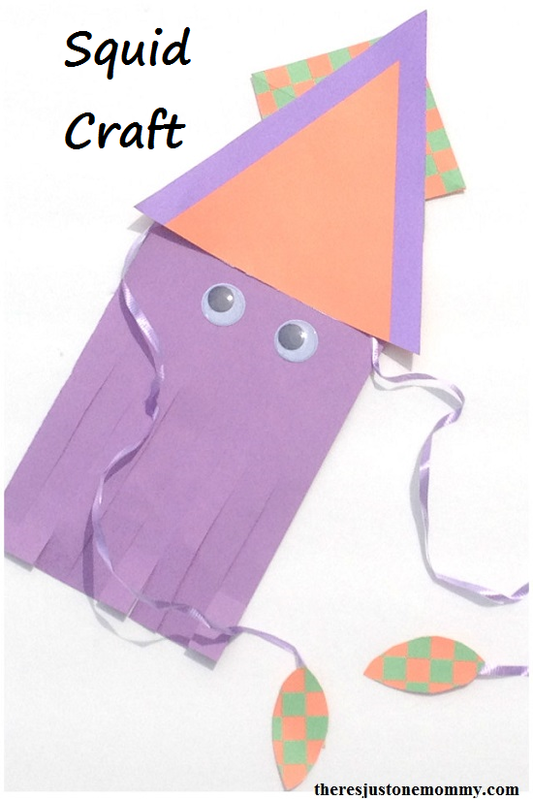 Glue on wiggly eyes and your adorable paper squid craft is finished. This simple sea animal craft to go with 20,000 Leagues under the Sea was a huge hit. Paper squids have been attacking toy cars, Barbie dolls and recreating the attack on the Nautilus all week.